TravStar1 Point Of Sale SystemRegister Manual Fleet MenuHow Do I Reprint a TFT Receipt? How Do I Reprint a TFT Receipt? Touch the "Fleet Menu" button. 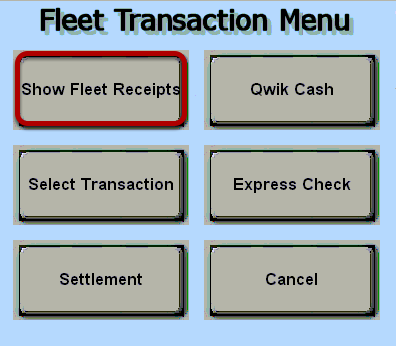 This will bring up the Fleet Transaction Menu. 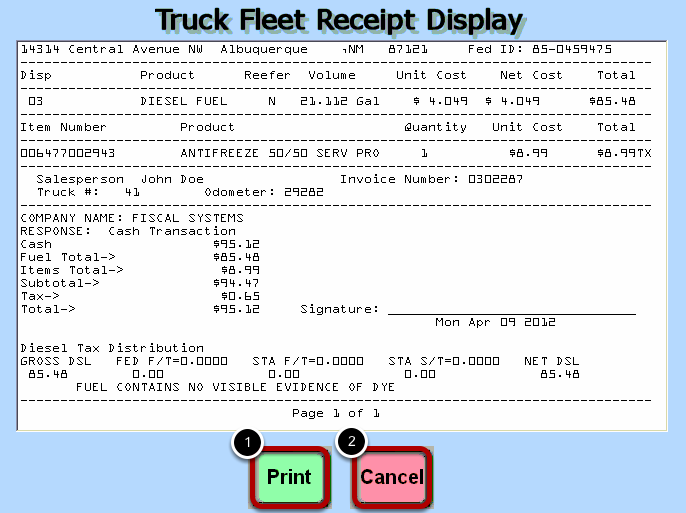 From the Fleet Transaction Menu, touch the "Show Fleet Receipts" button. (1) Enter a date range that you want to search. Typically, you will not be able to reprint receipts that are more than 15 days old. (3) Touch the "Search" button. If you touch the search button without entering a date range or selecting any optional search criteria, all TFT receipts from the past 3 days will display. (4) From the list of transactions displayed, touch the TFT that you would like to reprint. (5) Touch the "Print" button. This will display the receipt to allow you to verify that it is the correct receipt before printing. (1) If this is the correct receipt, touch the "Print" button to begin printing. (2) If this is not the correct receipt, touch the "Cancel" button. 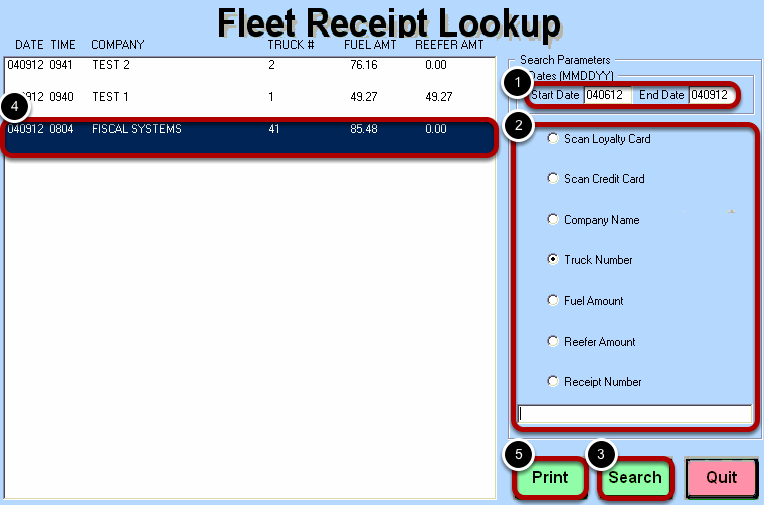 Prev: How Do I Process a Truck Fleet Transaction (TFT) using an MX915 (EMV) Pin Pad? Next: How Do I Print Comchecks?